Canopus Imaginate 2.0 is a still image animation program that allows you to convert any still image or slideshow into an animated movie. This tool is designed for both moviemakers and amateurs alike. While the program is fairly inexpensive (less than $200 in 2011), it offers a number of pros and cons to aspiring filmmakers. 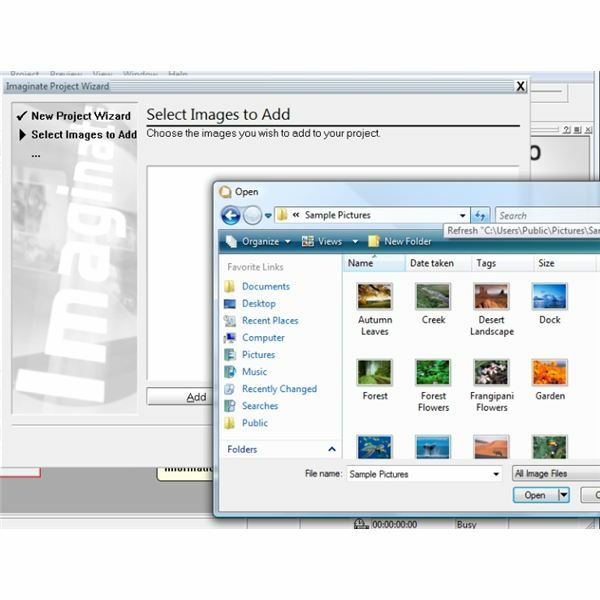 Imaginate 2.0 is the latest version of this software. One limitation is that it is a Windows-based program, which is means that Mac users won’t be able to take advantage of the technology. Windows users, however, will love many of the features offered by this program. The main selling point of this software is creating quality videos without compromising the look of your original images. One of the major problems with many software programs when you convert images to video is poor image quality. Canopus’ image software program, however, outputs very well-animated videos, and your images still look as crisp as ever. Another great feature of this program is that it comes with a Storyboard. This Storyboard feature allows you to layout your images like you would a regular video with clips. Plus, it’s extremely easy to add images to your storyboard. You simply drag and drop them in place. You can add transitions, including letting one image dissolve into another. If you don’t like the placement of the image, simply drag it to a different location, or delete it from the Storyboard. Once you are finished laying out your sequence, you can create slideshows, photo presentations and montages. If you are adding this project to an HD video or simply want the final project to be in high definition, you don’t need to invest in an extremely expensive program to complete the task because you can use Canopus’ software program for this as well. It has the ability to render projects in HD, making it easy to add video from an HD camcorder. You can even edit your HD footage along with your still images. You don’t, however, need to let your images run without music. Imaginate 2.0 comes with an option that allows you to add a soundtrack to your project. You can import any audio file into your project, including voice-over work, speech or noise. Before you add any music to your film, however, ensure that you can use it. You don’t want to be sued for using music that was not licensed for commercial use. Before you render your project, you can preview all changes with the real-time Preview feature. You’ll probably really want to use this feature if you plan on using any of the templates that the program comes with. These templates allow you to simulate camera movements, different camera angles as well as add effects to your video. While these features are quite useful, they can also create choppy or unprofessional videos if you aren’t too careful. It’s better to add an effect, camera angle or camera movement, and then preview the addition to see if it works with your film. If not, remove it since these additions can be extremely distracting. Imaginate comes with a key-framing option. This is a feature that is often found in more expensive programs, and it allows you to change any part of any animated sequence. For example, if you don’t like how one particular scene looks, you don’t have to trash the whole clip. Instead, you can fix that one section with key-framing. Other features of the program include scene templates. You can use these templates as is, or you can tweak them to fit your particular photos or video. It also has a built-in tutorial to help you with any editing steps. The best part of this software is that it’s extremely easy to use. The interface is quite intuitive, and it’s very fast. You can quickly get a project done in a matter of minutes as opposed to hours. The software also renders your video quite quickly. You also have many options for exporting. You can keep it as an Imaginate project, or you can export it to other formats like DVDs or VideoCD. Overall, the Canopus Imaginate 2.0 program is extremely easy to use, and it creates nice-quality videos. The price is comparable to many other video-making programs, and it’s actually cheaper than many currently on the market. It doesn’t compromise video quality, and the interface is so intuitive that a beginner will quickly catch on to how to use the program. The one major downside of this program is that it doesn’t work on Macs, but PC users will love its functionality.